Yes, far too many maritime metaphors spring to mind, rather as words and language do for Adrian Sanderson (Charlie Richmond), the intellectual docker. And there’s a fine line between archetype and stereotype, so we also get the revolting firebrand; the drunk; the noble foreman (and his spirited wife); the saucy barmaid; the filthy capitalist; the Maggie Thatcher lookalike…maybe they should all be in capital letters. And of course, here’s the bad boy made good, who’d also made his escape, only to return 17 years later, and I’m sure you can guess what happened after he left. And to round it all off a brave, hard-working heroine and ambitious daughter, plus more feisty women than you could shake a stick at – did you dare. 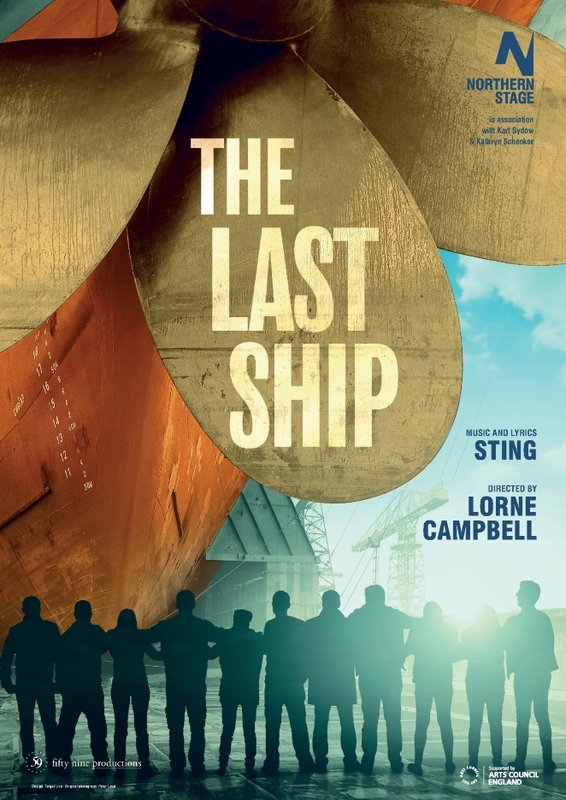 But it works, that vital community spirit captured by a marvellous cast who rally round to defy an attempt to close down the shipyard which would scupper the nearly completed ‘Utopia’ (and there’s irony for you) by selling it for scrap. 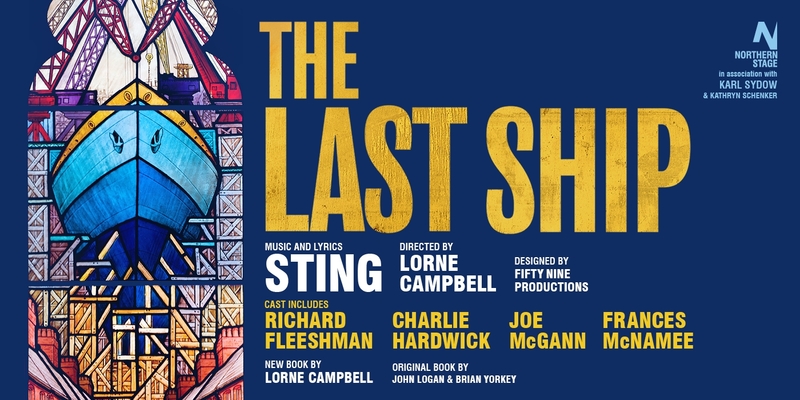 The show is wonderfully enhanced by exceptional staging and special effects, as well as being advertised by a superb poster of a stained glass window memorial, wholly (apologies) appropriate considering, that, like religion, work can be all-consuming, often demanding blind faith. A towering backdrop, rusting girders, gantries and scaffolding powerfully evoke the shipyard, the skies of the outside world hinted at overhead, while front of stage, interiors and incidents are cleverly captured with assistance from video projection. But a couple of scenes seemed out of kilter, including one which I’m precluded from divulging (spoiler). And not long before that, an ensemble piece, with one poor woman stuck on her own at the back behind the others, looked extremely odd. You’re torn between anticipating significance or wondering if it was accidental. Just as unfortunate is the part played by Kevin Wathen (Davey Harrison), skilled worker but alcoholic, hence his contribution to the plot is largely incoherent. Never mind, the dialogue otherwise is first class, dare we say, as witty as it seems authentic. Interestingly, it’s not the devil who gets the best lines but the devil-may-care daughter, Ellen Dawson (Katie Moore), who is dying to run off to London with her band. Hmm, not quite Father, Son and Holy Ghost, but father, daughter and mother combining in a kind of autobiographical trinity. So rather than plot and sub-plot, the political and the personal are more or less hand-in-hand, with devoted married couple, Jackie and Peggy White, affectingly played by Joe McGann and Charlie Hardwick, mirrored by love’s young dream turned nightmare, Gideon Fletcher and Meg Dawson. Richard Fleeshman, for all his dastardly deeds, makes a plausible hero in the end (and sings like Sting), proving himself a match for the clever heroine, Frances McNamee (who sings like an angel). The inevitable flashbacks, in song and scene with lighting and music, are nicely woven into the fabric of the plot. And the music is remarkable, whether anthemic, moving or catchy – a good idea to listen to it beforehand, as my colleague suggested to me. It’s a lengthy piece but full of passion and energy – completely engrossing, riveting, if you must. An incredibly moving final scene had the entire audience surging to their feet, and not just to catch a glimpse of Sting. A fitting finale for a brilliant show if you’re a fan of musicals. And if not, this is the production which will change your mind. 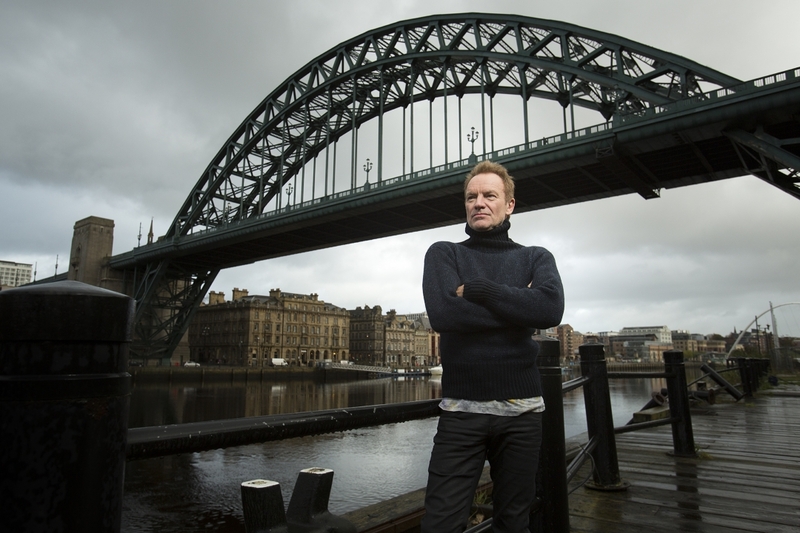 To read Northern Soul’s interview with Sting, click here. The UK tour of The Last Ship will continue with dates at Liverpool Playhouse (9-14 April), Leeds Grand Theatre (30 April-5 May), York Theatre Royal (25-30 June) and The Lowry, Salford (2-7 July).